With the deaths of two more lions over the weekend, the total toll among the Asiatic lions in Gir forest has touched 16 since the middle of September. 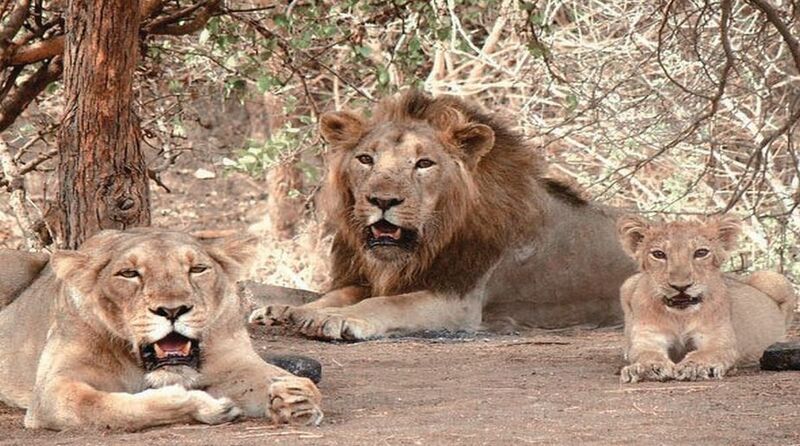 Jolted by the death of two more lions in the last two days in the Gir national park and sanctuary, the Gujarat government has started a thorough observation of all the big cats in an approximately 3,000 square km area in the Saurashtra peninsula. This area is much beyond the 1,153 square km of the Gir national park and the sanctuary spread over three districts of Junagadh, Amreli and Gir Somnath. Additional Chief Secretary, Forest and Environment, Rajeev Gupta told The Statesman on Monday that about 600 lions are under observation by about 400 forest staff each of whom have been allotted five square km area to track the lions. Expert teams from Indian Veterinary Research Institute (IVRI), Bareilly, the Delhi Zoo and the Etawah Lion Safari Park have reached the Gir area for an on-the-spot study about the causes of lion deaths, Gupta said. A vaccination drive is being undertaken among the big cats and 30 lions have been segregated as a precautionary measure to prevent spread of infection, he said. Gupta added that most of the deaths are confined to the Dalkhaniya range of the Gir area and not elsewhere. A team of wildlife experts had flown in last week too, but no definite explanation is available for the lions’ death till now, except infighting over territory. The number of Asiatic lions in its last natural habitat had been growing steadily from 205 in 1979 to 523 in 2015 when the last census was conducted.